Hind sight is always 20/20, especially in real estate. Time and time again I’ve had buyers put off purchasing a home only to realize that if they had done so a year earlier it would have cost them less money (both with the overall mortgage and their down payment). It is particularly painful when you realize how great the investment could have had or in some cases, as I know from personal experience, where you could have purchases and now cannot due to a change in the financial regulations. Karen’s sentiment here should be a reminder to us to think ahead. 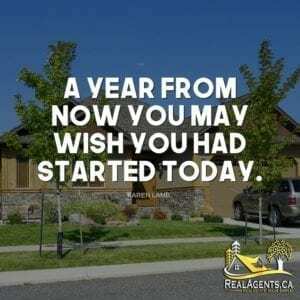 Assess where we want to be a year, 5 years or even 10 years from now – you’d be surprised how that can help you decide what real estate path is right for you! Real Estate is a Team Sport! Here’s Why!